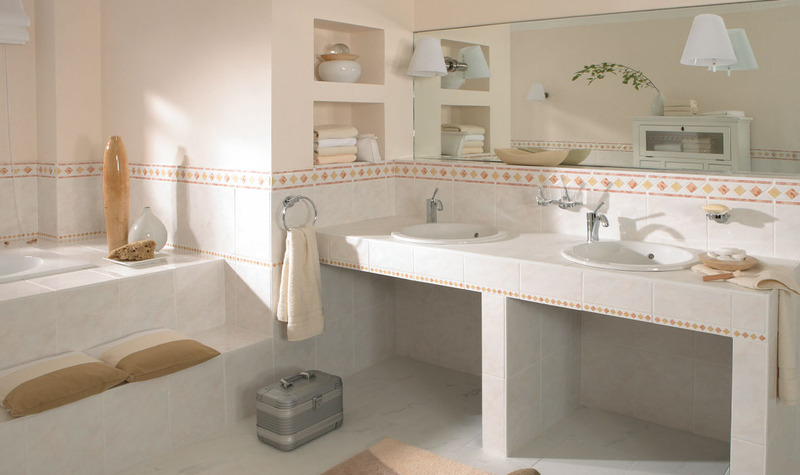 More space for your dream bathroom. 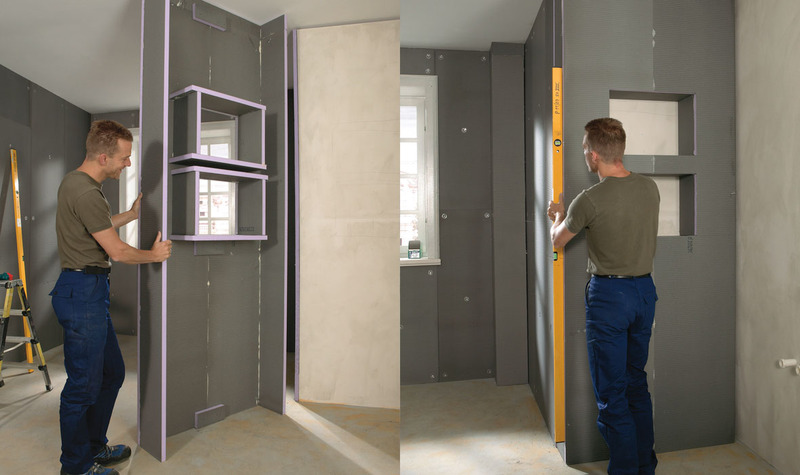 JACKOBOARD®: Attractive shelves, matching partition walls and shower stalls. Unlimited options for stylish bathroom design. Whether for a generous bathroom ambiance or a space-saving configuration: JACKOBOARD® construction elements for attractive shelves, partition walls and shower stalls provide you with suitable, high quality solutions for creating customized dream bathrooms. 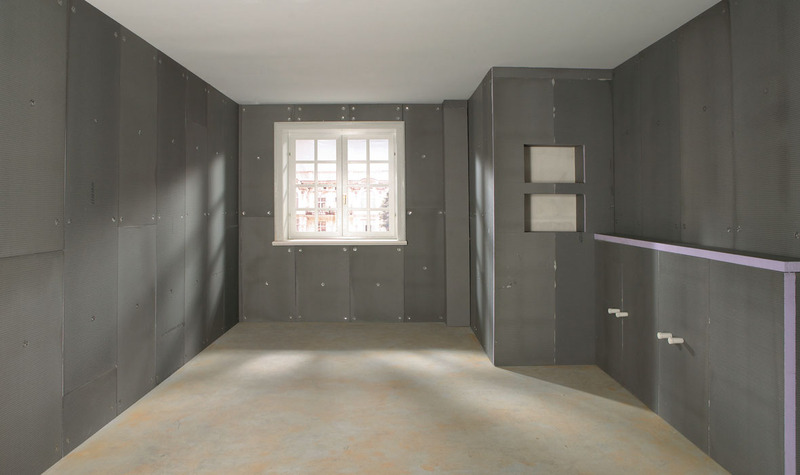 JACKOBOARD® XPS boards are easy to use for building freestanding partition walls, mounting to wooden or metal stud frame structures, or as prefabricated furniture installation kits for creating practical shelves. Made of water-repellent, thermally insulating XPS material, the JACKOBOARD® elements are particularly well-suited for rooms with high moisture loading. They are also easy to work with, and their special coating on both sides enables fast and easy finishing with tiles, plaster or filling compound. The furniture installation kits are also especially practical, because they already contain all of the accessory materials needed for professional and secure installation. 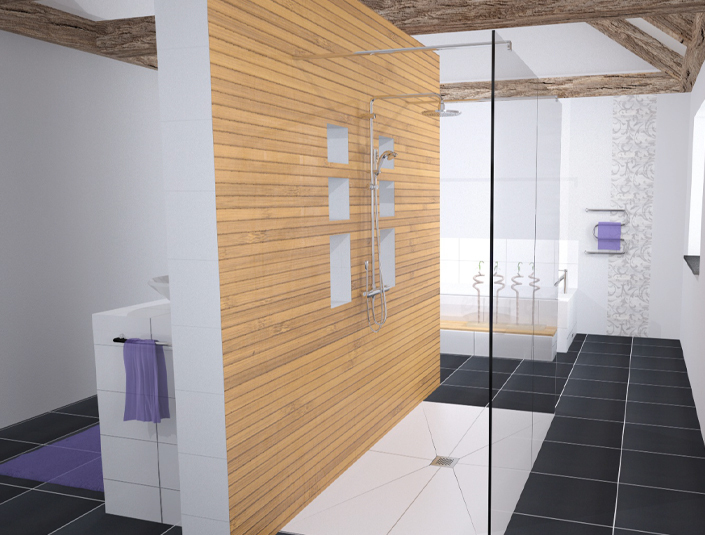 Are you ready to create cozy bath space with JACKOBOARD®? JACKOBOARD Plano - The construction board for customized bath design. 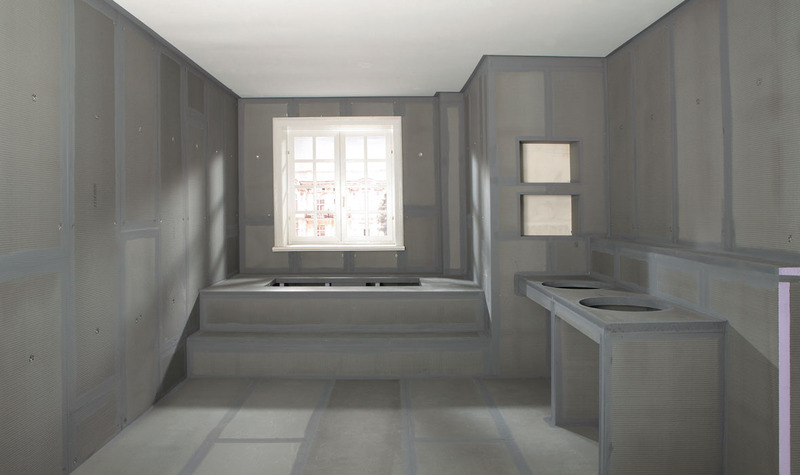 JACKOBOARD® Plano The all-around construction board for interior furnishings. JACKOBOARD® Plano NF The tongue-and-groove construction board. JACKOBOARD® Flexo The flexible construction board for individual bathroom design. JACKOBOARD® Flexo Plus The extremely bendable construction board. JACKOBOARD® Modula D800 Installation kit for a single washstand. JACKOBOARD® Modula D1600 Installation kit for a double washstand. JACKOBOARD® Modula R300 Installation kit for a 300-mm-deep bathroom shelves. JACKOBOARD® Modula R600 Installation kit for a bathroom shelf. JACKOBOARD® Glass fibre tape 125 Stable reinforcements for seams and joints. Assembly adhesive For a secure, clean bond. BOARD-FIX For saving time and bonding securely.